Hi friends! I'm so excited to share my work for the Heidi Swapp/Canvas Corp Design Challenge, featuring a lovely mix of product from Heidi Swapp, Tattered Angels, Canvas Corp and 7 Gypsies! 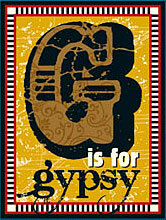 I was asked to represent the 7 Gypsies Brand so my project may remind you of work I've done in the past for the Gypsies! I was thrilled to be asked to create a project for the Designer Challenge - and it was with great anticipation that I opened my box to see what Heidi had selected. I have to say, the mix of products and brands for this challenge was perfect, and so inspiring! I can't wait to see what the other designers have created! My inspiration for this project was drawn from the colors and products themselves that Heidi chose. I keep a file of tear sheets and often, when I pull a project together, I look at either my magazine tear sheets or my pinterest board to draw inspiration from a color scheme, etc. Since Heidi had already put together some amazing products and colors for me to work with, I was immediately able to identify with the richness of the colors, the old world feel of the products and immediately was drawn to these two ads from Italian luxury goods house Bottega Veneta. I wanted to recreate the rich, old world color scheme shown in these ads. (photos attached) Also, since the colors reminded me of autumn, I felt they would go perfect with photos of my daughter taken last fall at a local park. To create the Memory File, I misted the front and rear cover with Tattered Angels Woven Burlap. I created the inside by trimming the edges from another folder that had the same shape as the striped folder, misting them with Myrtle, and adhering them as a footer and header on the inside. I then used Heidi's Color Magic Paper (with the matching striped pattern) and misted it with my own stash of Tattered Angels Pearl and Gold. I adhered the paper to the inside. Then I layered the 7 Gypsies Postale index and tag envelopes and inserts and decorated them with photos and autumnal quotes. I love that the envelopes give you a space to hide journaling or additional photos. To finish the cover and trim, I added Heidi's Information Trimmings on the tab of the folder and misted a Color Magic banner with gold/pearl for the front. I then misted the gorgeous canvas flower with the gold and added some ribbon trim, a metal finding for the center with a punched circle of vintage french text. Two gilt leaves finished off the cover, and I love the old world look and feel of this project. To see my next project for the Design Challenge, please click here to visit Heidi's Blog. Here's a little sneak peek - I'll be giving this one away - so if you're interested, leave a comment and I'll draw a winner on Sunday! Thank you so much for stopping by my blog today, and don't forget to visit Maggie's blog tomorrow and Holly's blog if you haven't already seen her gorgeous project, for more inspiration! Heidi Swapp/Canvas Corp. Design Challenge! Hello friends... sorry I've been absent for a couple of months. I've had a fairly busy spring since my last post. My parents came to stay for a month --- it was SO nice to come home to Mom's healthy cooking every night, and I confess I was spoiled with her food for a good month! Then we were busy with Alekha's school play, and Mom and I (mostly Mom) sewed a pufferfish costume which was a challenge, let me tell you! There are very few pufferfish costume ideas on the net, and believe you me, we looked! The end product turned out nicely though, I'll have to post it on the blog in a bit. Thank goodness for Mothers - I don't know what I'd do without my sweet Mom! Then my brother-in-law Amit and my adorable new sister-in-law Kara got married the weekend before this last one, so we were out of town for the wedding. I also changed jobs at work so it's been a pretty busy couple of months. Exciting as it's all been, it's nice to have things settle down again so that I can get back to doing what I love - creating and photography. I post in spurts --- and I have to catch up on sharing a few projects with you, so you'll probably see a good deal of posts from me over the next few days. I can't even tell you how excited I am to be mentioned in the same breath as Heidi, Holly and Maggie! As you may know, 7 Gypsies and Tattered Angels are both now under the umbrella of Canvas Corp, and the marriage of these three brands couldn't be more perfect! I hope you'll take a minute to visit all the Designers and the manufacturers participating in this blog hop. Holly already has her stunning project posted - you'll be sure to want to visit BOTH Heidi's blog (to see Heidi's own amazing projects which she is GIVING AWAY!!) as well as each designer's blog throughout the rest of the week. My project will be posted on May 31st, and Maggie's project will be posted on June 1st. 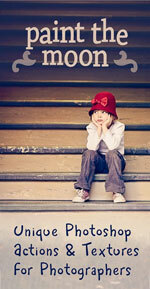 Heidi will be posting one of our projects and linking to our blogs so you can see the second project we each created. I'd love it if you'd stop back by on Thursday May 31st to see my post and the projects I created! Heidi has inspired me to give away one of the projects I created as well -- so stop back by on Thursday and leave a comment, I'll draw a name on Sunday, June 3rd. Hope you had a wonderful Memorial Day and have a great week! Today I'm sharing a project that I created for the 7 Gypsies Blog a while back with 7 Gypsies' ATC & Photo Display, and they're featuring it today on the Gypsy Blog. I actually created this winter tree for a Christmas display, and used it with my holiday decor, but I am leaving it out for a few months yet as the pale blues and silvers are perfect for winter decor after the holidays.It sits on my kitchen window pass through, and I love to sit and have a hot cup of tea and look at its prettiness! We need a little sparkle and glow in January, here in Ohio, when we've removed all other traces of the holidays and taken down the trees, lights and decorations. It serves as a reminder to me that even in the midst of winter, nature is abundant with beauty. I used the tiers of the display as branches and hung ornaments and tags created with papers from the Carolina Flocked and Hudson Valley Collections from 7 Gypsies. I also used these Princesca dangles to resemble glittering ice, and lots of silver and blue ornaments found on shopping jaunts. 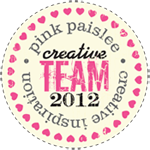 I also received a very nice introduction on the Pink Paislee blog yesterday. If you get a chance, check out the other DT introductions, there is some serious talent on that team! Off now to do some much needed organizing and de-cluttering in my art studio. I've set up another desk in the room and am frequently joined by my eager little miss, who keeps herself busy with scissors, glue stick, letters and lots of pretty papers to cut and paste! She's working on a mini menu for her American Girl doll (she received Marie-Grace for Christmas) and takes her everywhere! Happy crafting, hope you get time to create something lovely this weekend! Hop on over to the 7 Gypsies Blog - they've been featuring all sorts of lovely holiday projects lately and will continue to do so the rest of this month. Here's a quick card and matching envelope set I made with papers from 7 Gypsies Savannah and Lille Collections and other bits and bobs from 7 Gypsies. The diecuts (with the exception of the 7 Gypsies "Bois De Villemoisson" tag, are from Papertrey Ink, including the felt diecut flower die. I'm having trouble linking in Typepad, otherwise I'd link to all the supplies, but here's a list. Everything used is from 7 Gypsies or Papertrey Ink. ----------------------------------------------------------------------------------------------------------------------------------------------------------Be sure to check out the new kits at JBS Mercantile﻿﻿ at midnight tonight. This month's kit contains Jenni's annual addition to her Red and Black Extension and it's oh SO lovely! And you won't want to miss the gorgeous holiday themed project kit either - I'll be sharing my creations soon. ﻿﻿And thank goodness we're coming down off the sugar rush! I think it's been Halloween for over a month in this house, and I am glad to see it go... we have enough candy to last us until next year, probably (if we still have all our teeth left)! Hope you had a wonderful Halloween with the kiddos! Enjoy your week.